You are here: HomeKitchen RenovationIs It the Right Time for Your Kitchen Remodel? 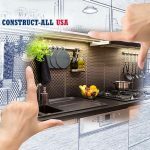 Kitchen remodeling is one of the most popular home remodeling/renovation projects for Tennessee homeowners and certainly offers a tremendous return for your money. 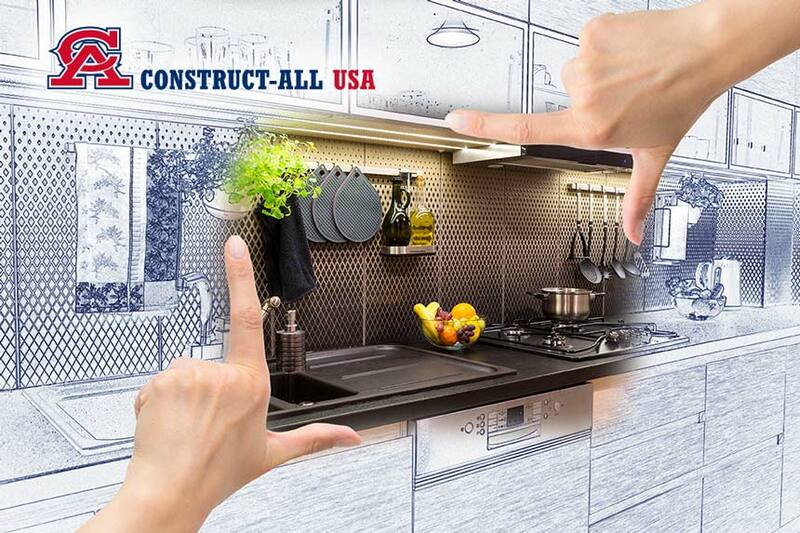 Here at Construct-All, USA when communicating with our valued clients who are in the market for a kitchen remodel, we find that one of the most common questions asked is “are you able to give me a ballpark figure on how much my remodeling project will cost?” This is an extremely tough task and often times quite difficult to perform. What we can offer our clients is some important facts about your kitchen remodel that may help in determining the cost of the project and whether or not it is within your budget. Most home remodeling projects are based on the overall square footage of the area in your living space that is being remodeled or renovated. Kitchens fall under this same formula, though often times remodeling your kitchen can come in a bit higher that a typical room addition. The reason why they tend to come in at a higher price range is because kitchens are usually a great deal more complicated and involve a great deal more work than other common home remodeling projects. There are several more layers involved in the construction and kitchen remodel process because of the fact that you have plumbing and multiple appliances involved. In addition, other components such as counters, islands, sinks, cabinets all of which involve a great deal of layout and design may even need to be moved and plumbing worked around. The bigger and more extravagant your kitchen space is, the greater the costs and expense. When computing the cost of your complete kitchen remodel or makeover project, materials, labor, and the professional services of skilled and licensed contractors are all a part of the formula. Each contractor charges a set dollar amount per square footage when putting together an estimate or quote of your home improvement project. As the size of a kitchen increases and the more luxurious the fixtures and material choices, the greater the overall project price will be. For instance, if you want a kitchen island installed, specialized lighting, or perhaps you want granite counter tops, or even customized cabinets, each of these elaborate components will add to the overall cost of your kitchen remodel.The cost of the project increases not only because of the increased cost of the materials, the chosen design and components, but because of the additional work that is involved as well. If, however, you are simply looking to upgrade a single element in your kitchen, perhaps you want a new Italian style tiled floor installed, newly customized cabinets, track lights or the installation of a fancy wine rack or lazy Susan, your overall partial kitchen remodel will be significantly less than your extravagant complete remodeling project. 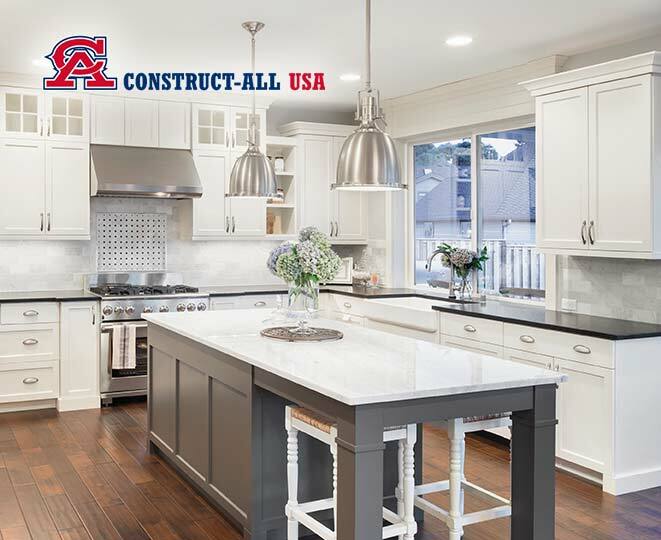 Here at Construct-All, USA, our highly skilled and licensed team of renovation specialists stands ready to meet your every need. Our team of professionals is on hand to help with all your decision making and take tremendous pride in our high-quality materials, products and services. If you are in the market for a complete or partial kitchen remodel, then surely you have come to the right place. 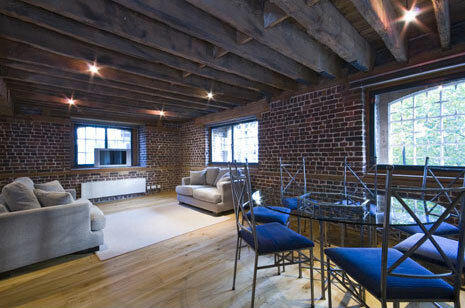 The experts here at Construct-All, USA are the ideal team for you. Spring is here and is the perfect time of year to perform all those home improvement projects, including that long-awaited kitchen remodel. Why not give a shout out to our team today and schedule your free consultation? We look forward to serving you and to providing you with the best all round remodeling services this side of Tennessee!